2 and 1/2 cups old-fashioned gluten-free oats (I used quick-cooking oats when I made the recipe this most recent time because that was all we had and it seemed to work fine too). Preheat oven to 325 F. In a bowl, combine oats, nuts, cinnamon, cacao powder, and salt. Stir well. In a separate bowl, melt the coconut oil. Once it’s melted, stir in the maple syrup, honey, molasses, and vanilla. Pour the mixture over the dry ingredients, stirring well until the oats are thoroughly coated. Cover a baking sheet with parchment paper and coat it with cooking spray. Next, spread your granola onto the sheet in a thin layer, pressing it together. In order to get yummy granola clusters, you want it to all stick together, so keep the granola in one “piece” – like a giant oat cookie. Cook for 15-20 minutes. Cooking time may vary depending on the intensity of your oven. I took mine out at 15 minutes because my oven is small and powerful. 🙂 Do not stir the granola! Allow it to cool for 2 hours or overnight, before breaking it up with your fingers into bit-size pieces. Store in a zip-lock bag. 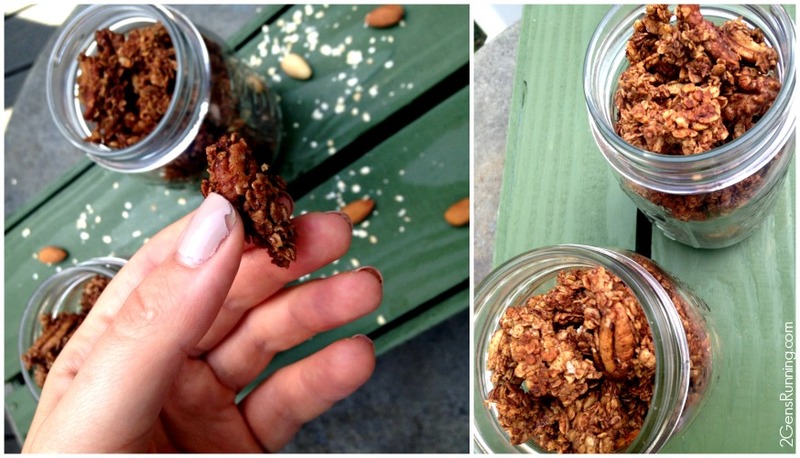 Do you ever make your own granola? Do you LOVE granola as much as my family does? 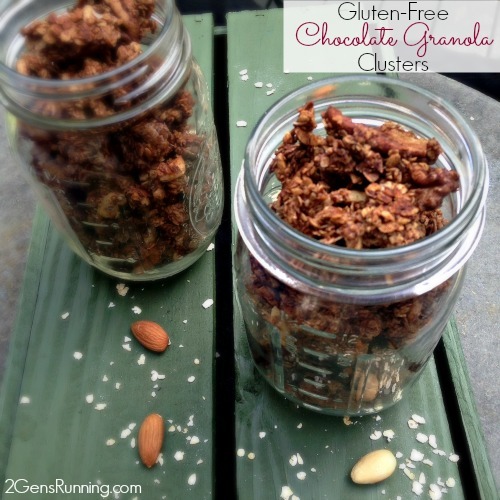 This entry was posted in Recipe and tagged Chocolate Granola Clusters, Food, Gluten-Free. Bookmark the permalink.